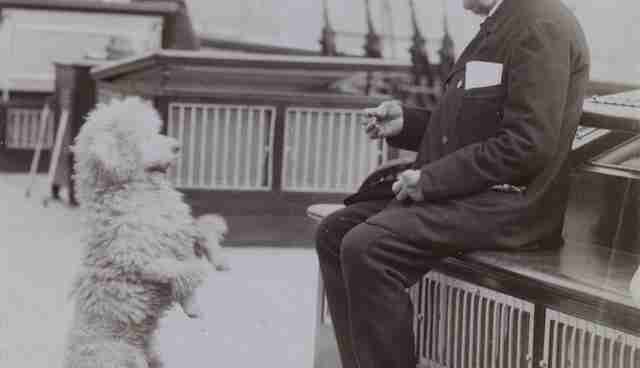 The National Maritime Museum in Greenwich, England has posted a wonderful collection of historical photographs showing the range of animals sailors and travelers used to bring to sea. 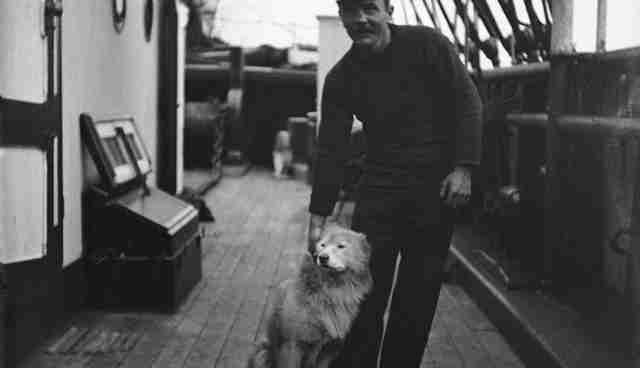 According to Kasey Grier, an historian at the University of Delaware and the author of "Pets In America: A History," taking pets along on ocean voyages was quite common throughout history -- and with good reason. "There's a long tradition of keeping pets on ships, and I think it's partly because sailing was really boring," Grier said. "Voyages were long and people needed amusements. Bringing animals had to do with ship-borne boredom more than anything." 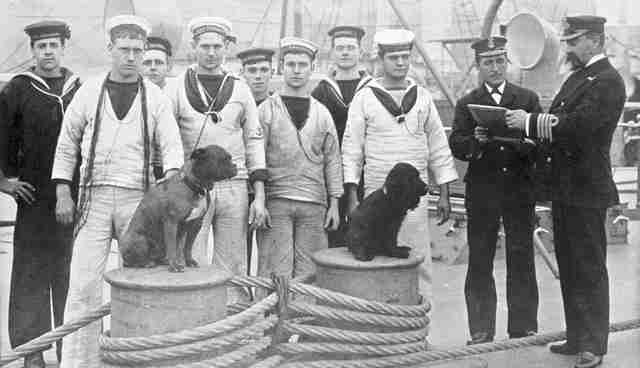 Not all animals were intended to be companions, but boredom might have helped endear some species to crew members. As Grier explained, cats were originally brought on ships to catch rats and other pests, but eventually a number became pets in addition to (or, perhaps, instead of) workers. Still, most animals weren't really brought on board to work. "Life on a sailing ship can be very dull," Grier concluded. "That seems to be the principal motivation. 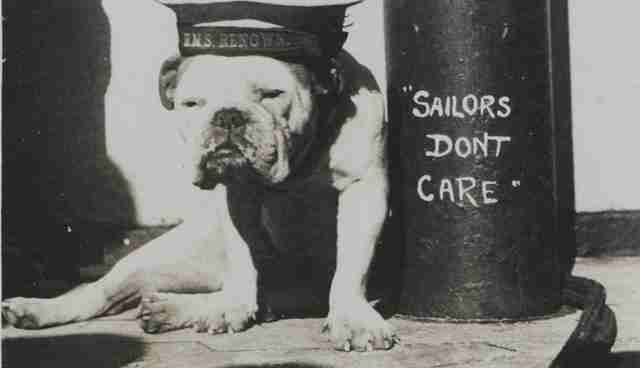 Pets were something more interesting to focus on, and playing with them gave sailors something to do." 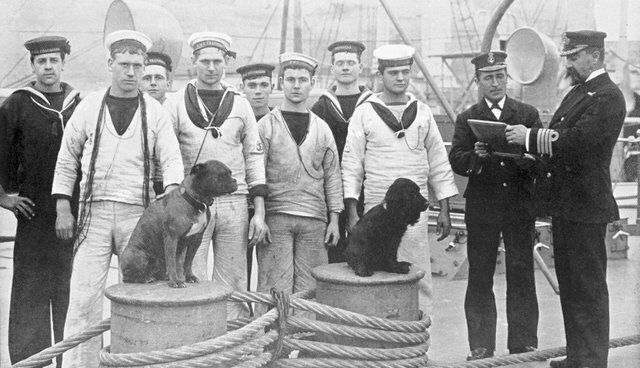 A quarterdeck scene on HMS "Trafalgar" in Malta, 1897. 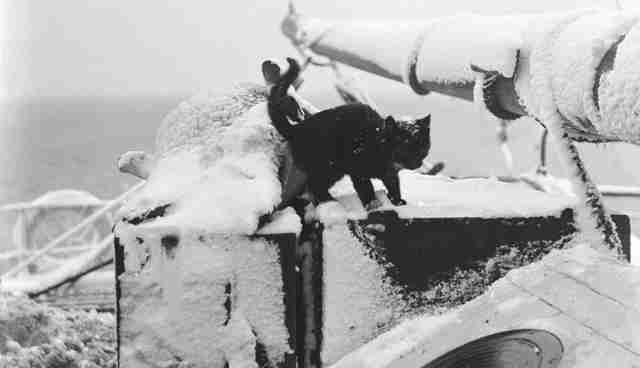 Cat on steam yacht "Morning," ca. 1902. Mr. PM Anderson and Russ on the "Scotia," ca. 1902. 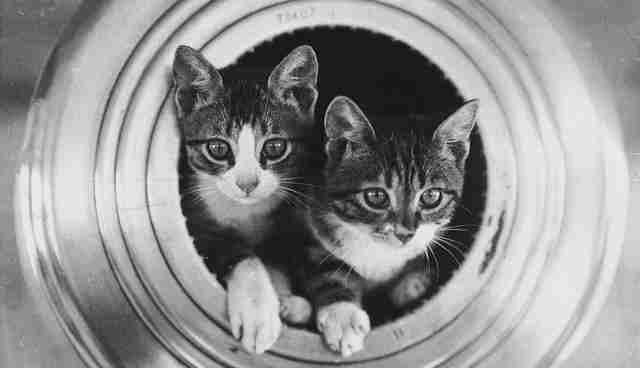 The ship's cats on HMS "Hawkins," ca. 1920. 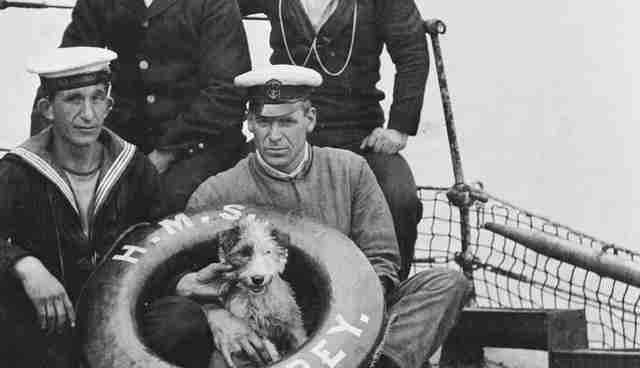 Dog on board HMS "Laforey," ca. 1915. 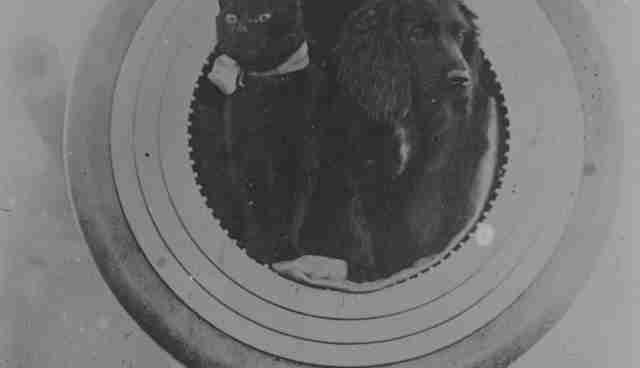 Black cat and spaniel on board HMS "Barham," ca. 1916.